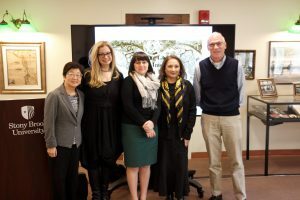 Dr. Rita Nezami, Senior Lecturer in the Program in Writing & Rhetoric, presented her work on incorporating world literature in her teaching in order to inspire her students to become empathetic, thoughtful, global inhabitants. 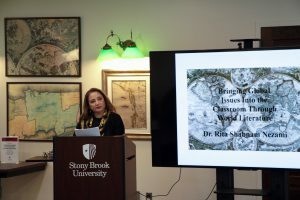 Her talk, “Bringing the World into the Classroom through World Literature,” described the pedagogical decisions she’s made in building her courses, as well as concrete ways in which they have been beneficial to students. 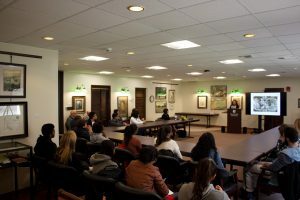 This event was well attended by students and faculty.